We are specifically focused on providing you with the best results and service in the industry. We listen carefully to understand your specific real estate goals and work diligently to create solutions that make sense for you and your home. Whether you are purchasing or selling your first home or have experience working with real estate, we have the expertise, proven track record, and resources to help you achieve your desired real estate goals. As is often said, real estate is about location, pricing, exposure, and timing. We pay particular attention to each of these categories for each client and home we serve. Our extensive knowledge of the Orange, CA area and can help you find the right home for you or the right buyer for your home. it is our pleasure to work with you. 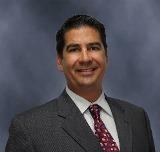 Jeff Alan Farr, is our Broker and team leader for My Orange Home. He has been working within the real estate industry for several decades. 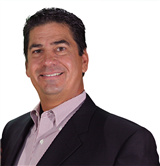 He has done everything from inspections to a top producing real estate broker. He worked in the lending industry as a sales manager and producing loan officer. Ultimately, finding his passion marketing, consulting, and selling Homes. Jake is our data analyst, social media and communications producer, and recently obtained his real estate license. His family was in real estate during the early years of the 1980s and 90s. Kim is our transaction coordinator and broker administration lead. She fulfills a wide range of daily tasks for our operations to run smoothly while keeping an eye on the details. She worked in the health and medical industry her entire career. She still wanted to be involved and productive thus another career with us. Joe is our valuations expert. He offers a wide range of industry knowledge and expertise to the team. He can research and valuate any property in any condition. He also acts as a consultant for our more complex transactions.